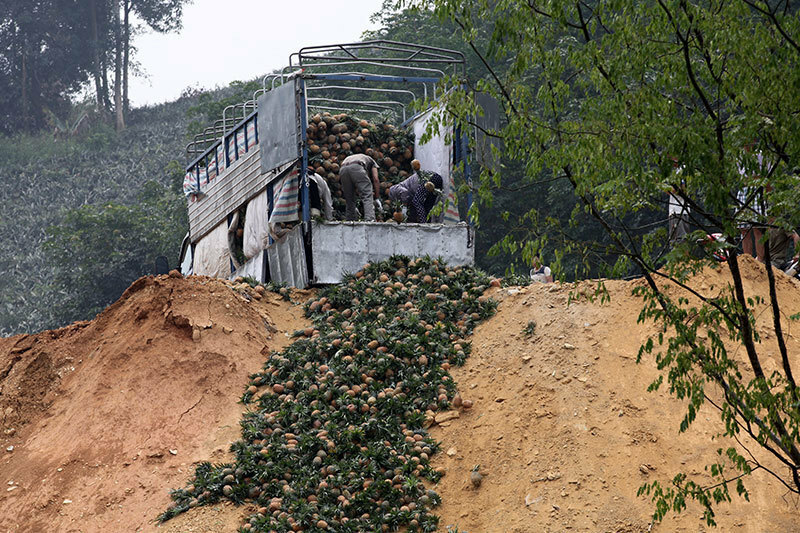 Farmers in the northern mountainous province of Lao Cai have thrown away tonnes of pineapples since China halted purchases. 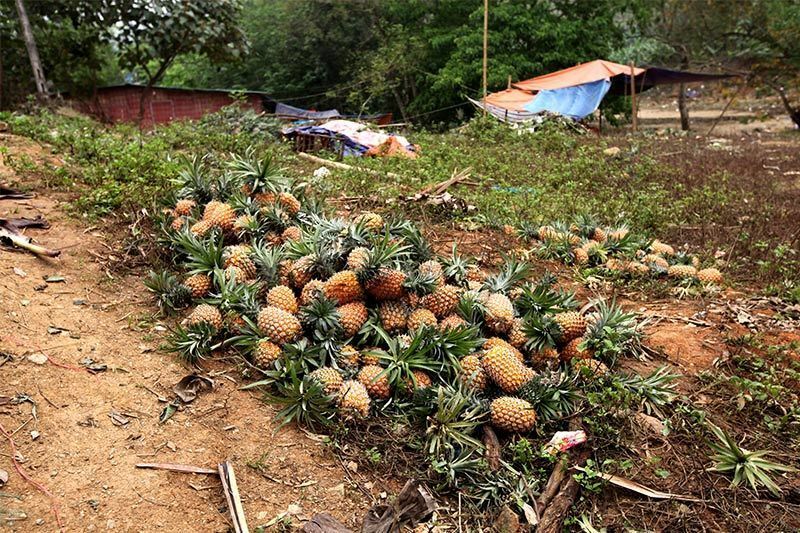 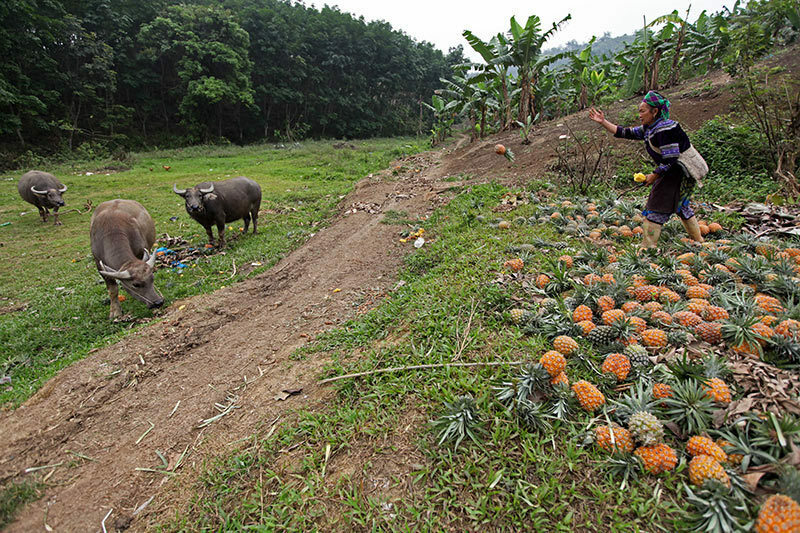 Over the recent years, many households in Muong Khuong District’s Ban Lau Commune have grown pineapples mostly for sale to China through border trade. 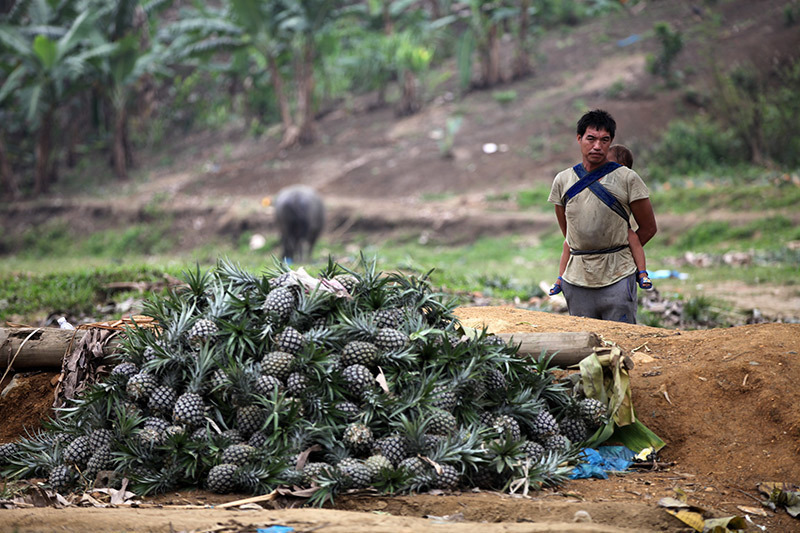 However, China has tightened the import through border trade, affecting pineapple export; while domestic demand is quite low. 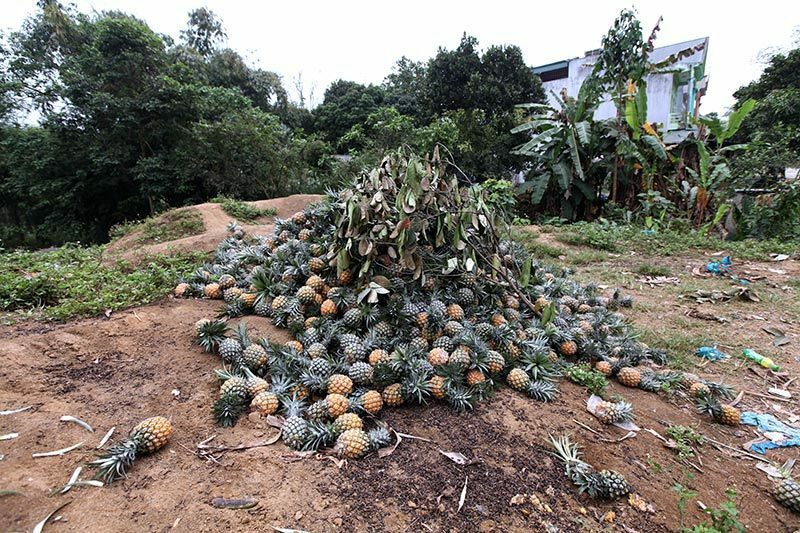 Farmers have had to clear their farm and throw the fruit away. 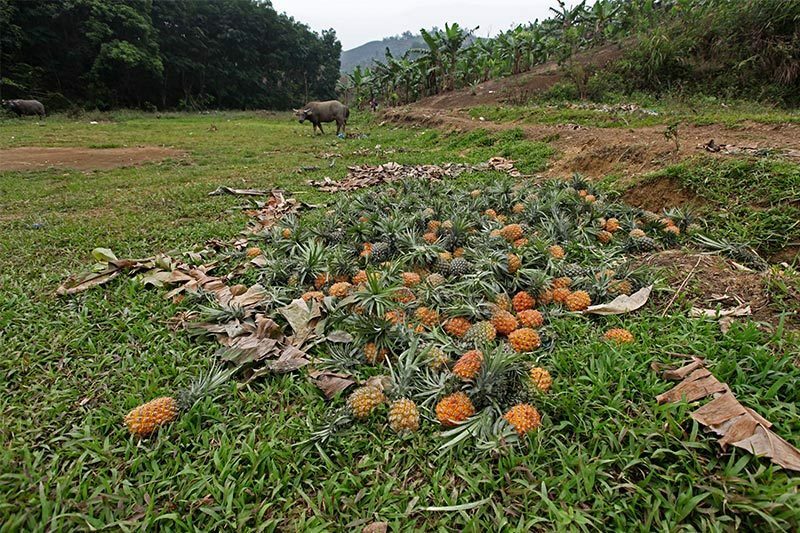 Many local households even have to hire people to dump their pineapples for VND1.5 million (USD65.20) per 10 tonnes of the product. 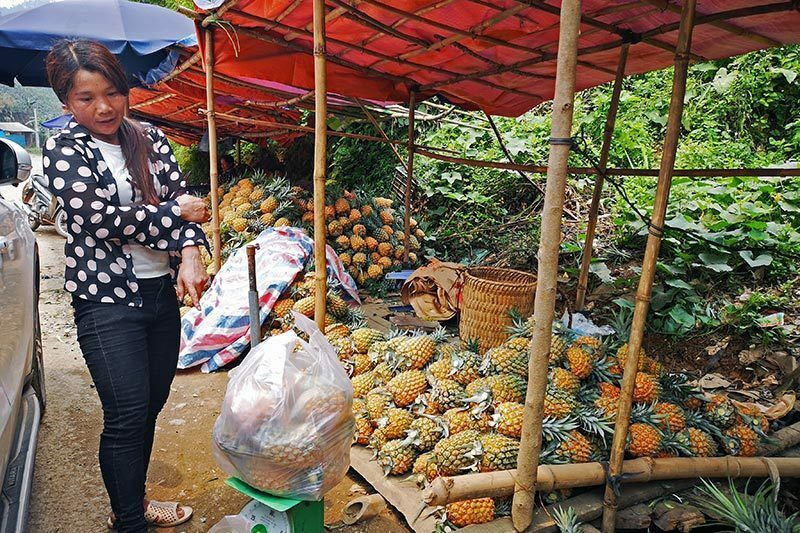 Pham Thi Thuy, a local resident, said that she had to take her pineapples to an informal market to sell for just VND3,000 a kilo.